Yesterday I was directed to an article on The Huffington Post that mentioned my home, Chincoteague, in it’s compilation of America’s Best Little Beach Towns. We’re definitely use to the attention of small town seekers and tourist/vacationers truly love our home. However, While reading the snippet on the slide I realized I had not been to the restaurant mentioned. The Chincoteague Diner is a welcome destination after a long day on the beach. Fill up on baskets of fried seafood (flounder, scallops, shrimp) or barbequed baby back ribs. Instead of cooking the chicken I had planned for dinner I decided we were going out to eat. After all, I had to see what made this place worthy of being the sole eatery mentioned in this article. We arrived at the diner, which was undergoing some construction. It looks like they’re building a deck on the front which could be a good or bad thing. I’m sure many visitors will want to eat outside, checking out the scenery. Walking in to the establishment we were greeted in a very friendly manner, which is always a plus. A bar on our right and a dessert freezer on our left the diner really had a pleasant and inviting atmosphere. The first thing I noticed was the smell. While I wished it had been of the food being prepared, instead it was the smell of a just cleaned room. There were only a handful of diners among us so the busboy was doing a lot of cleaning. I do appreciate a clean eating environment but it’s not something I crave when I walk in. I want to be hit by the smell of the food that is being served. We were given our menus and our drink order was taken and served; my son immediately ordered an appetizer – Mega Fries. My boy does love his bacon. The description was “Fries smothered with a blend of cheeses and bacon served with ranch dressing on the side.” When the fries came out it wasn’t quite what I was expecting. More like a couple slices of Mozzarella melted on a pile of fries with some chopped up bits of bacon (which was cooked perfectly.) I had to ask for the ranch dressing since that didn’t arrive with the dish. We each ordered our meals; my son ordered a meat lovers omelette (breakfast is served all day which is music to his ears), John the Beef Liver & Onions and I ordered the Broiled Stuffed Seafood Combo. I also ordered a cup of soup – Manhattan Clam Chowder is my favorite soup and I was excited they offered it. 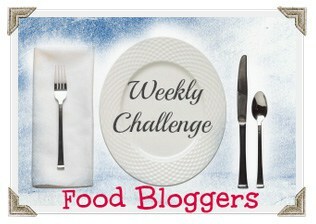 The serving time was great, and I immediately dipped into my soup to compare to some of my favorites. As soon as I tasted it I was met with a familiar flavor. Lipton Chicken noodle soup – the kind with packets in a box. I loved that stuff as a kid, but didn’t expect my clam chowder to taste like it. While it was edible it wasn’t anywhere near the best. Once our meals arrived we were excited to dig in. New restaurants always excite me. I wasn’t overly impressed with my meal. I’ve ordered similar dishes at other restaurants and what I received wasn’t close. On my plate were 2 scallops on top of a pile of crab meat and filler, 1 shrimp on top of the same crab meat and filler and a rolled up fillet of flounder filled with yet the same stuff. Despite my initial disappointment I began to sample the dish. Since scallops are my all time favorite seafood I tried them first. I was expecting the sweet, succulent taste I’ve come to expect from scallops but instead got a mouthful of old bay and other seasonings. The seasoning wasn’t overwhelming but it was the only discernible flavor. The scallops were flavorless and no doubt from a frozen state. 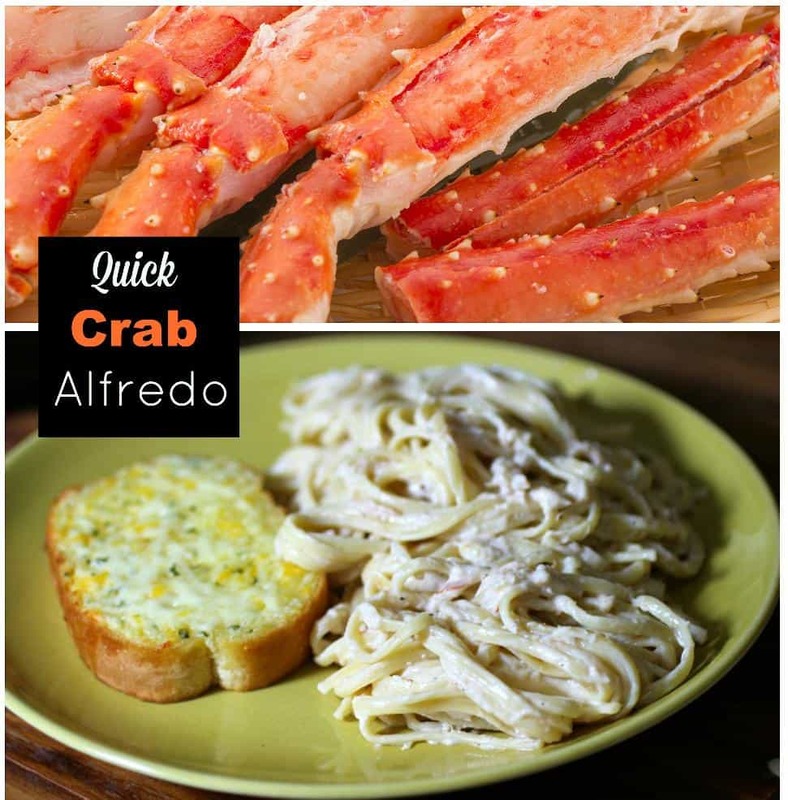 From there I tried the crab meat, which while wasn’t bad, was also nothing to rave about. There was an equal amount of filler (bread crumbs) as crab meat which is highly disappointing. It was also greasy and dense which I have never experienced when eating crab meat. I picked up the shrimp which was sitting atop a pile of crab. While the shrimp seemed to be stuffed with the crab meat, as soon as I picked it up the crab meat fell out. I couldn’t bring myself to try the shrimp so I moved on to the flounder. The flounder and the scallop were similar in taste as the only discernible flavor was old bay. I can’t say 100%, but I honestly believe the seafood on my plate (including the crab meat) was frozen and/or from a can. Completely void of any other flavor I had no other option but to order something else. I ordered the Hot Roast Beef and Gravy Open Face sandwich. The sandwich was topped with loads of thinly sliced roast beef which was tender, juicy and flavorful. The gravy was a little too oniony and slightly sweet, but good. It was a much better meal than my previous, which our waitress removed from the bill. John and Dameon both enjoyed their meals. They were quite what they want from a restaurant, but there were minimal complaints. For me, the seafood was not at all acceptable – especially when you live on an island that is well known for its seafaring roots. My overall opinion on the Chincoteague Diner is they have some work to do. When I go out to eat I want good food. I want food that is prepared fresh and with dignity. Much, if not all, of what we were served was from a frozen or pre-packaged state. It wasn’t a great first impression so I’m not sure why The Huffington Post saw fit to list them as their sole eatery. The waitstaff was great – friendly and accommodating. The prices are wonderful for the Island, but the quality of food isn’t something I’d pay for outside of a grocery store. I’m hesitant to go back and try other menu items as I don’t feel it will be any better. The images in this post are courtesy of my son and his Nintendo 3DS. Most families have traditional meals and their own spin on the fixings. My family is no different. Every holiday meal we have a preset menu. John’s absolute favorite thing is my grandmothers Oyster & Sausage Stuffing. 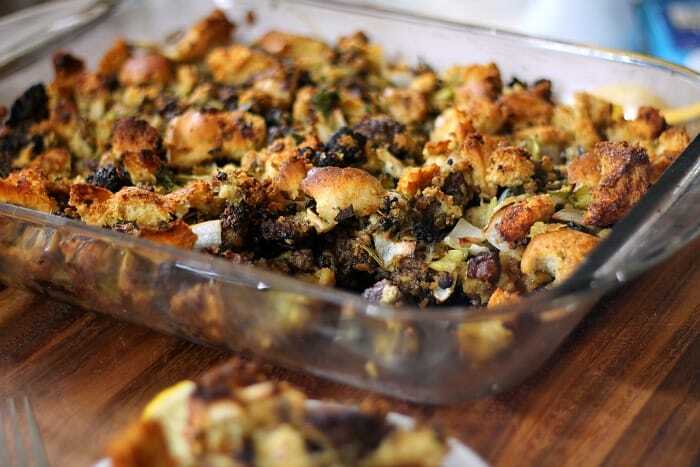 Even if we’re not having poultry this stuffing is present. He was craving Granny’s Oyster & Sausage Stuffing last night so I headed to the store to get most of the ingredients. I was bummed they didn’t have fresh rosemary and I had to resort to using dried rosemary leaves, but if you can find it fresh definitely use that. I was also feeling lazy so I went with pre-shucked oysters from the seafood market Hey, my mom is the master shucker when it comes to oysters, I always end up with cuts all over my hand! 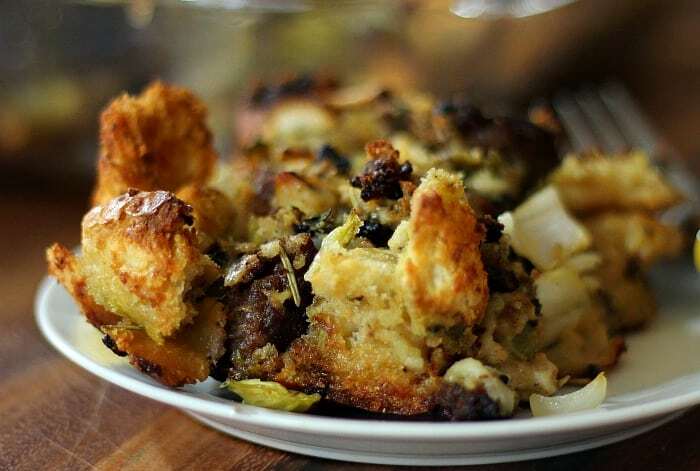 This is a heavy and rich stuffing, a little goes a long way! Preheat the oven to 350. And chop up your herbs and vegetables. In a large skillet cook the sausage, crumbling as you cook it. While you’re waiting on the sausage to brown start chopping your herbs, celery and onion. Add them to a large bowl as you go.Add in the lemon juice and zest. Add the bits of bread and oysters. Fold in the sausage. Pour the beaten egg over top of the mixture and mix well. Add the butter, mix then add the chicken stock and mix. Mix in salt and pepper according to your preference. Put the stuffing in a large casserole dish and bake for 1½ hours or until the top is golden brown. Growing up on the Eastern Shore it’s hard not to incorporate fresh seafood in your traditional meals. It’s readily available and gives a touch of home to anything you eat. 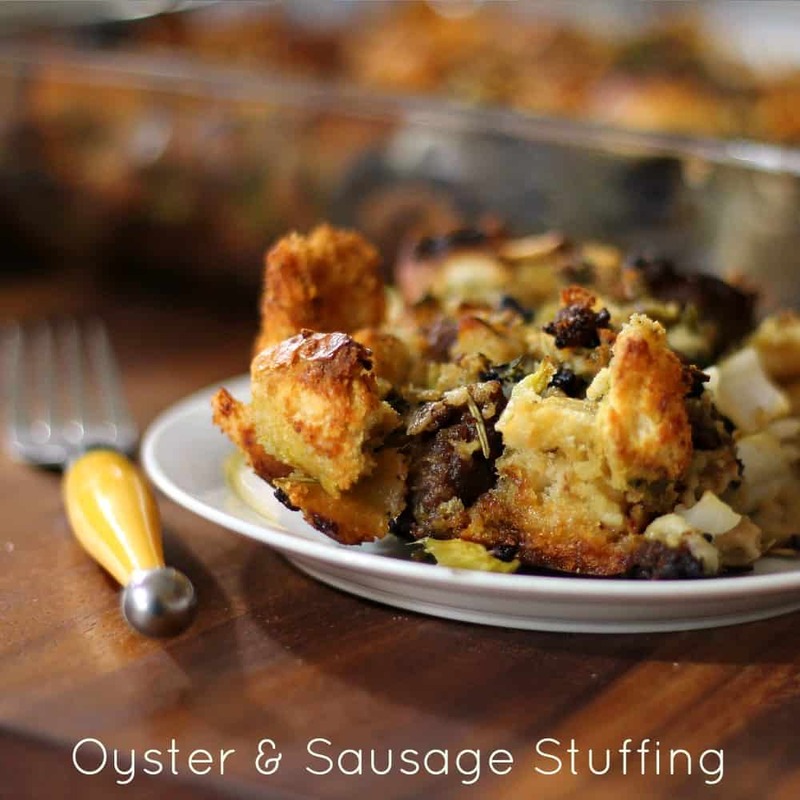 The oysters in the stuffing give off a distinct flavor, but the sausage plays it down so it’s not overwhelming. It’s one of those things you have to taste to believe.